**CLEAN CARFAX**, 3.5L 6-Cylinder SMPI DOHC, 2 Driver Configurable 4.2" Color LCD Displays, 20" Polished Aluminum Wheels, Auto-Dimming Rear-View Mirror, Driver Connect Package, Dual-Zone Electronic Automatic Temperature Ctrl, Equipment Group 201A, LED Fog Lamps, Power & Heated Glass Sideview Mirrors, Power Liftgate, Radio: AM/FM Stereo w/7 Speakers, Rear Bumper Step Pad, Remote Start System, Single-CD Player, SYNC 3 Communications & Entertainment System, SYNC Connect, Unique Cloth Bucket Seats, Universal Garage Door Opener (UGDO), Voice-Activated Touchscreen Navigation System, XLT Technology Feature Bundle. Recent Arrival! Odometer is 2867 miles below market average! 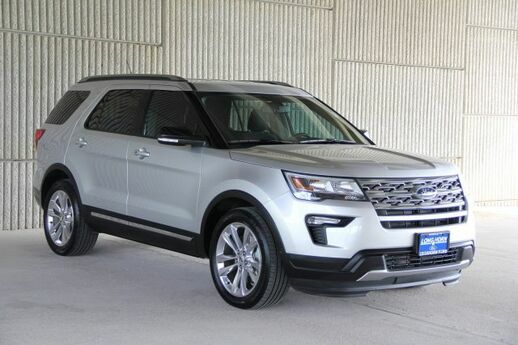 I would like to Check the Availability for this 2018 Ford Explorer XLT.